There are currently no plans to screen Captain America: The Winter Soldier at the White House, as far as the film’s directors have heard. But if it makes it to the White House family theater, President Obama would be watching one big-budget, action-packed, and Scarlett Johansson-starring critique of his controversial terror-suspect “kill list.”This isn’t me reading things into a mainstream comic-book movie. It’s what the directors themselves will tell you. “[Marvel] said they wanted to make a political thriller,” Joe Russo, who directed the film with his brother Anthony, tells Mother Jones. “So we said if you want to make a political thriller, all the great political thrillers have very current issues in them that reflect the anxiety of the audience…That gives it an immediacy, it makes it relevant. So [Anthony] and I just looked at the issues that were causing anxiety for us, because we read a lot and are politically inclined. And a lot of that stuff had to do with civil liberties issues, drone strikes, the president’s kill list, preemptive technology”—all themes they worked into the film, working closely with screenwriters Christopher Markus and Stephen McFeely. 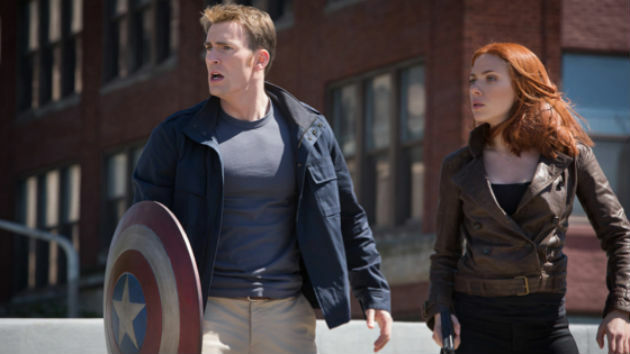 The politics of The Winter Soldier fit comfortably into the Russo brothers’ oeuvre, which has included plenty of political satire and commentary. Prior to The Winter Soldier, the duo was best known for directing episodes of Arrested Development, which produced some of the finest satire of the Bush era and Iraq War, and Community, which is also peppered with solid political humor and jabs. (As for their go-to sources for news and politics, Anthony’s top two are the the New York Times and NPR, while Joe’s are Digg and Reddit.) The day I interviewed them, they happened to be in Washington, DC, to meet with the Congressional Creative Rights Caucus. According to Joe, the brothers pushed to make their Captain America political thriller even more political and topical than it initially was. “There were already things in the script that just needed to be pulled out to make it more [relevant],” he recalls. One of the film’s stars, Robert Redford, was approached for the role in large part because he starred in the 1975 political thriller Three Days of the Condor. But don’t take any of this to mean the film is a stern lecture on American foreign policy. It’s thrilling as hell, and also the best to emerge in the recent string of Marvel movies. “We’re action fetishists,” Joe says. “And we love ’70s thrillers.” The brothers drew on the influence of some of their favorite action-flick moments: The famous bank heist and shootout in Michael Mann’s Heat. William Friedkin’s The French Connection. John Schlesinger’s Marathon Man. John McTiernan’s Predator. Gareth Evans’ The Raid: Redemption. (And for the Washington, DC-set car chase in The Winter Soldier, the brothers consulted YouTube, searching for videos of actual car chases. One video—wherein two escaped convicts in Brazil get stuck in traffic and plow through cars as police pursue them on foot—was especially helpful.) “Choreographing action, it’s like choreographing a Broadway show,” Anthony says.